Comedian, Ayo Makun, has defended the decision of Innocent ‘2baba’ Idibia to cancel the protest against government policies. 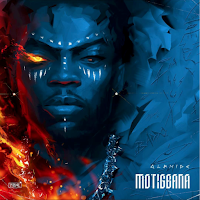 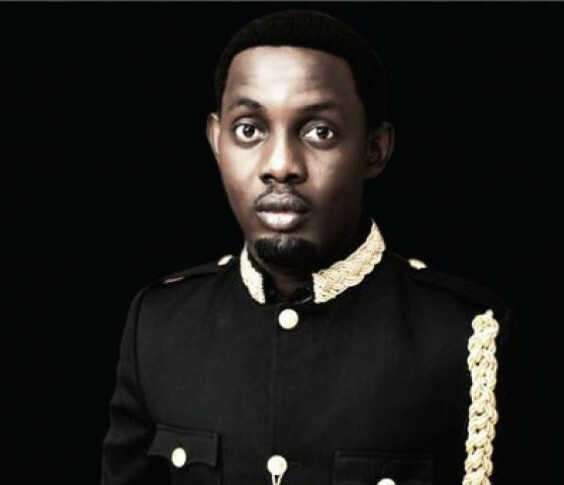 Makun said the famous musician cannot be called a coward for taking the action, noting that he’s a patriot for helping to amplify the voices of Nigerians. 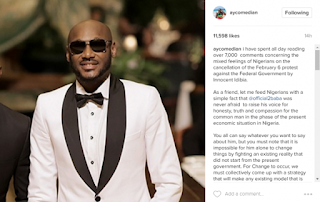 Writing on his Instagram page on Sunday, the comedian said no one would “celebrate” 2baba if the protest were to hold and it got hijacked by hoodlums. 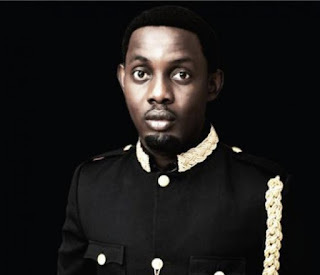 Makun wrote: “I have spent all day reading over 7,000 comments concerning the mixed feelings of Nigerians on the cancellation of the February 6 protest against the Federal Government by Innocent Idibia.